Should I call this another Marketing strategy from MTN as the Largest Network in Africa continue to induce offers to draw Customers to the Network. 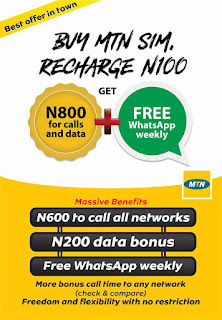 It has been a year of Good offers from the Major Telecoms Network in Nigeria but MTN isn't Lacking anywhere behind so it really a good one. We had Something similar to this when MTN introduces Startpack Sim which Gives 10X value for recharges, as MTN Introduces another Offer tagged #YafunYafun Sim offer and this offer can be activated by Getting a New Sim from any MTN office within the country which gives you 8X of Your Recharge and this is what MTN took to their Twitter Handle Page to Enlighten us more about the SIM ad its Reads Below. 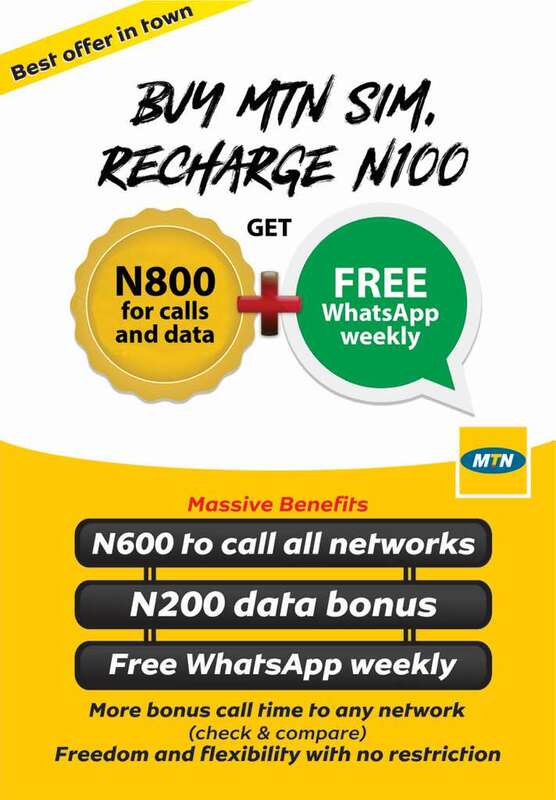 ✔ Recharge N1000 and get N8000 ➕ free WhatsApp Weekly.